Merritt Baer is a Principal Security Architect at AWS, where she advises some of their largest customers on executive decisions in cloud security. She has worked in cybersecurity in all three branches of US Government, and is a graduate of Harvard College and Harvard Law. 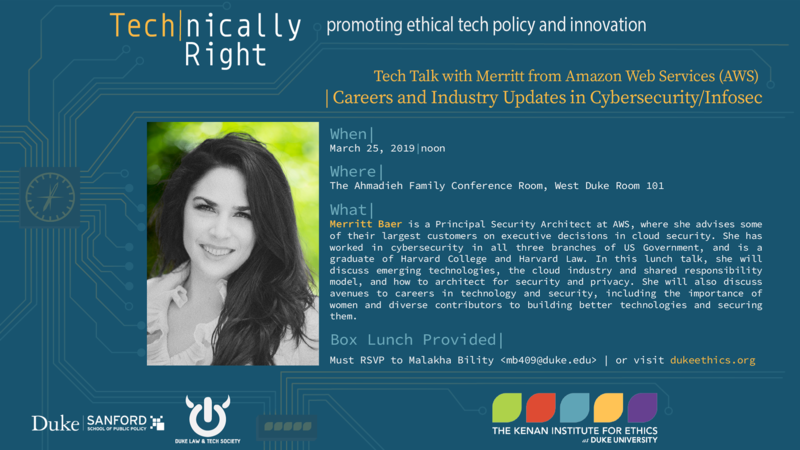 In this lunch talk, she will discuss emerging technologies, the cloud industry and shared responsibility model, and how to architect for security and privacy. She will also discuss avenues to careers in technology and security, including the importance of women and diverse contributors to building better technologies and securing them.